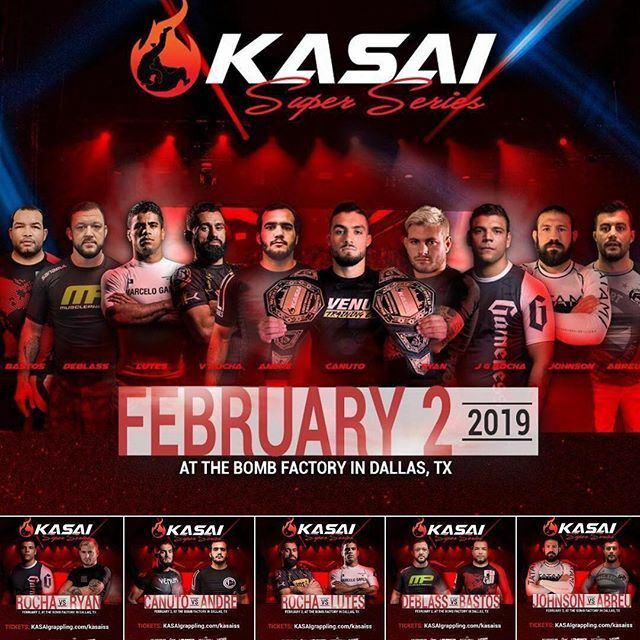 Kasai Super Series is heading to The Bomb Factory in Dallas, Texas tonight with an all star show. Big names like Gordon Ryan, “Tex” Johnson, Tom DeBlass, and Renato Canuto will be showcasing their talents on the Kasai stage. You don’t want to miss this! 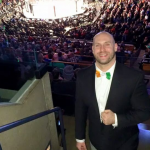 Main Card starts at 8pm. Gordon Ryan vs Joao Gabriel Rocha. Gordon Ryan winner by points. Renato Canuto vs Marcio Andre. Canuto Canuto winner by Heel Hook. Matheus Lutes vs Dante Leon. Dante Leon winner by Rear Naked Choke. Andressa Cintra vs Jessica Swanson. Andressa Cintra winner by points. Tom DeBlass vs Bruno Bastos. Bruno Bastos winner by points in OT. Tex Johnson vs Ricardo “Demente” Abreu. Tex Johnson winner by points. Raquel Canuto vs Chelsah Lyons. Raquel Canuto winner by points. Mike Medrano vs Alex Martins. Alex Martins winner by points. Lucas Valente vs Rafael “Formiga” Barbosa. Lucas Valente winner by decision. Edwin Junny Ocasio vs Vinny Saenz. Edwin Junny Ocasio winner by Heel Hook. Camron Couch vs Marcus Antelante. Camron Couch winner by points. Alan Shebaro vs Sebastian Black Cobra. Alan Shebaro winner by Toe Hold. Benjamin Annunziato vs David Hulsey. David Hulsey winner by Heel Hook. Bobby Alexander vs Dulces Flores Jr. Dulces Flores Jr. winner by points. Diego Santana vs Jairo Bautista. Diego Santana winner by Toe Hold. Javier Zapata vs Thomas Gentile. Thomas Gentile winner by decision. Cameron Adair vs Franklin Carballo. Cameron Adair winner by Armbar. Natalia Santoro vs Kecia Makenzie. Kecia Makenzie winner by Armbar. Abdul-Kareem Al-Sewady vs Dylan Kastelic. Abdul-Kareem Al-Sewady winner by points. Jeff Horn vs Leigh Macneil. Jeff Horn winner by points . Dillon Hinojosa vs Conrad Duran. Conrad Duran winner by points. Meghan Williams vs Jessica Crane. Jessica Crane winner by Rear Naked Choke. Ryan Benoit vs Jorge Vasquez. Jorge Vasquez winner by points.